An OPG (Orthopantomogram) radiograph is a panormamic x-ray of the mouth. This will show all the teeth, including the roots, the maxilla (top jaw) the mandibulie (bottom jaw) and the sinuses. As a panoramic film shows less detail that a bitewing or periapical film, these other x-rays may still be required in addition to the panoramic film. Panoramic films are often used to provide an overview of developing teeth in children. They help the dentist to decide whether a child may need braces. 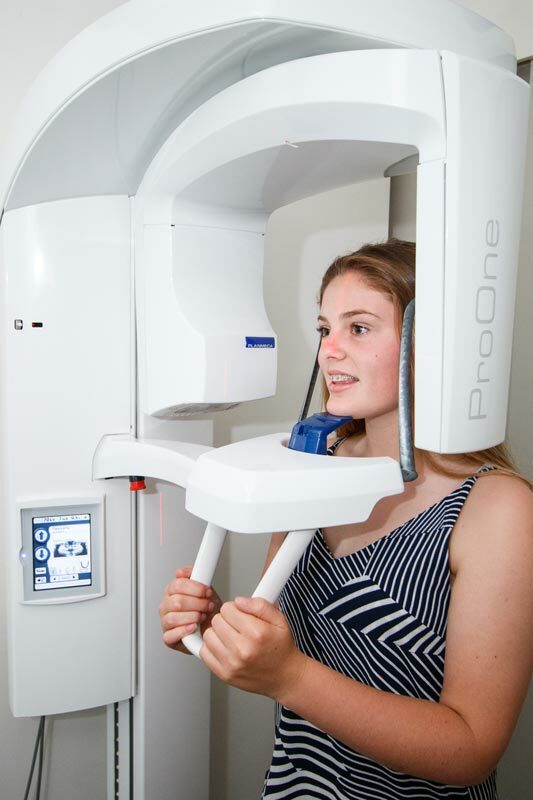 The OPG x-ray is a quick and painless process and is completed by our qualified dentists in our practice and can be viewed immediately. An electronic copy is kept on your patient file for future reference. 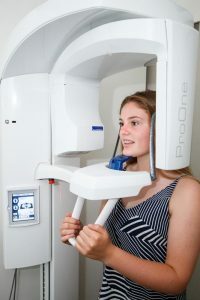 All referrals to specialist dentists such as orthodontists, endodontists and oral surgeons will require a current OPG, which we can email direct to them.